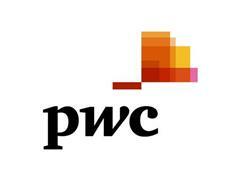 PwC’s Growth Markets Centre has launched its latest report ‘Repaving the ancient Silk Routes’ today. The report covers China’s Belt and Road (B&R) initiative – a concept that was announced by China’s President Xi Jinping in 2013 to rebuild the ancient Silk Route that connects China to Europe via Central Asia – which has since gained significant economic momentum. Kept broad and inclusive by the Chinese government, the B&R’s expansive ecosystem now include railways, airports, and even a maritime route. The initiative goes beyond just geopolitics and embraces the promotion of commercial interests, trade, culture and social integration. These activities are mainly focused along six economic corridors, which cut through more than 65 developing countries, and are expected to be a catalyst for infrastructure development that will have an impact on a population of about 4.4 billion and one third of the global economy. ‘Repaving the ancient Silk Routes’ analyses how foreign companies can participate in B&R projects and provides a point of view on unique B&R complexities. It also highlights how interested companies can evaluate and select B&R projects, in addition to identifying key factors for success. The B&R initiative is such a massive ambition that even China, with all its resources, people and financing, has sought partnerships with foreign companies. These partnerships can prove to be beneficial for both parties in many ways. Legitimately gaining knowledge through foreign partnerships can help Chinese enterprises further develop expertise while enhancing global credibility in the infrastructure sector. While for foreign companies, a collaboration with Chinese enterprises on infrastructure projects located in third party countries can open up access to new markets and pave the way for access to the China market too. Many of these foreign companies also possess previous international experience in large scale projects in complex developing countries, which can be invaluable when trying to decrease operational risks. While the opportunities are numerous, foreign companies can come across some project risks which are unique to B&R projects, particularly from a geopolitical, funding and operational perspective. Geopolitical risks: These often span across many territories, due to the exposure to changes in political regimes and bilateral relations. Funding risks: Besides financing sources from China, companies also need to take into consideration that many growth markets along the B&R routes have a varied ability to pay back the loans they need. Operational risks: Interested companies ought to remain vigilant in operational planning, even as state-owned enterprises from both China and the host countries are starting to gain international experience. This includes identifying gaps in stakeholder experience and the increased complexity of B&R transnational projects – both of which could result in delays or costs overruns. Although the B&R initiative holds rich promise, the risks are sometimes accentuated and unique. Commercial viability assessment: Companies ought to develop a robust business case, which should address market supply and demand forces, and also to what extent companies are reliant on incentives provided. Review the maturity of the infrastructure ecosystem: Companies also need to evaluate the maturity and future plans of the surrounding infrastructure. This includes whether there is a strong strategic partnership for policy development, multi-modal linkages and supporting facilities. Establish a portfolio fit: Companies also need to balance the valuation of their experience against the exposure of too much of the same risk in the company’s internal portfolio. For example, a company that already has a project in operation in Kazakhstan might re-valuate whether it makes sense to add another at this time. Contingency strategies: For B&R projects which typically attract geopolitical attention and straddle multiple territories across a long period of time – it is critical for companies to plan for disruptions in advance. In the course of contract negotiations, any potential unresolved issues should be accounted for in contingency clauses with a clear exit strategy laid out at the outset. Trusted local partnerships: Partnerships with companies having prior experience of working with the local government are critical in B&R projects. The right partners will understand the sequence of events, unspoken sensitivities and key actors in the process to facilitate project progress. This is important in many growth markets which B&R projects operate in, where companies need to deal with the fluidity of business. Risk sharing: Adopting a risk-sharing approach will build trust amongst stakeholders, ultimately lowering cost for all stakeholders. Companies can consider ways to share risk, such as waiving the need for performance bonds, carrying the cost of some equipment in their books, or developing a revenue-sharing mechanism. “The B&R initiative has already seen many success stories of partnerships that have resulted in mutual benefits, leading to an increase in demand for foreign capabilities and contributions to B&R projects, which reaffirms that there are commercial opportunities across the infrastructure value chain. “However, companies need to fully understand the potential risks of infrastructure projects, especially those unique to B&R in order to prepare for success. Acknowledging that B&R projects are different, companies can enhance their chances of success by taking proactive actions. This includes establishing contingency plans to manage short term disruptions, while planning for lengthy project lifespans, in addition to building strong and respected relationships with local authorities in order to effectively navigate the political and local bureaucratic scene. You can download a copy of ‘Repaving the ancient Silk Routes’ here​.